At 10:45 on the morning of the tour, you are welcome to attend our complimentary one-hour “History of Lanesboro” presentation by Ted St. Mane, our knowledgeable and entertaining local historian, downtown at the Commonweal Theatre. $5 of every ticket purchased goes directly to support Lanesboro resident Scott Dixon and his family with medical expenses from colon cancer. Start your tour at the Andor Wenneson Inn, built in 1904 along the tracks of the Southern Minnesota Railroad, now the beautiful Root River State Trail. Built by businessmen W. Andor Wenneson, the former hotel served rail travelers coming through Peterson for many years. Come tour our nine rooms celebrating Christmas around the World, each room will take you to another country. Don't forget to come back December 9th for Christmas in Peterson to do some holiday shopping from local artisans. Established in 2001 on land purchased by his grandfather in 1928, Larry and Sheryl have 9 beautiful log sided cabins nested on 30 acres in the heart of the Root River Valley 5 minutes east of Lanesboro on Hwy 16. We invite you to stop by and tour our family resort. 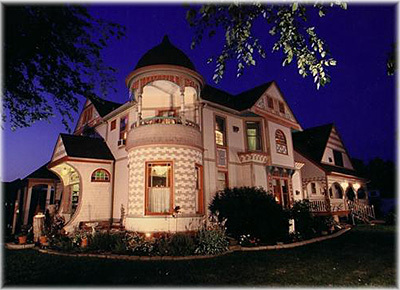 This lovely home was built by the widow Anna Vickerman in 1908, designed in the Queen Anne Victorian style with a wrap-around front porch, intricately designed filigree, carved woodwork, and a distinctive turret. 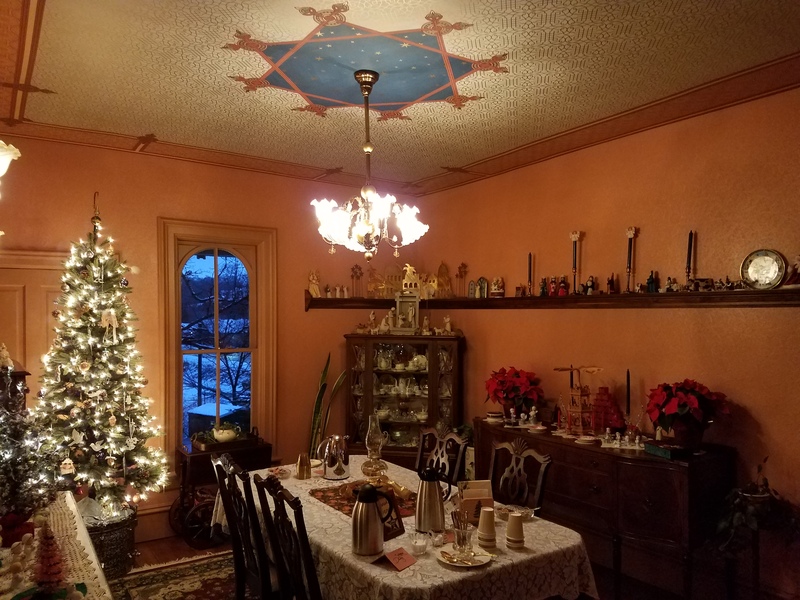 Our traditional Christmas decorations will include trees in every room, highlighted by a Garden-themed tree on the porch, the Teacup Tree in the Ladies Parlor, and a Vintage Flatware Tree in the Dining Room. Local silversmith and jewelry artist Anna Loney and painter Jennifer Wood will be our special guests during the Tour. Christmas goodies and music, too! The James A. Thompson House is an exquisite 1870 brick Italianate 2 story home, sitting beautifully on a hilltop overlooking Lanesboro. Our 1.3 acres backs right up to the Root River. An observation deck at the highest vista of the property offers breathtaking views of the river and Dam, from which Lanesboro was fashioned. Apple cider warming on the wood stove outside will welcome you to the Christmas Inn Tour. Inside you will find this 1890s feed mill was thoughtfully renovated while balancing renewal with retention. Stone Mill Hotel & Suites opened in 2001 with 10 themed rooms and suites. 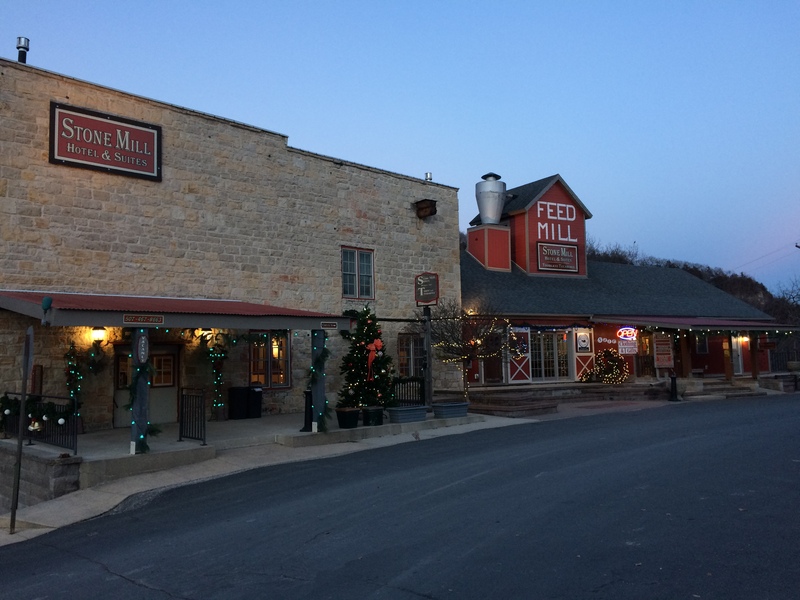 Today, the mill is home to 13 rooms and suites, a boutique, and massage therapy. An area artist will be on site. Seasonal refreshments will be offered. We hope you can join us. Sample traditional Scandinavian treats at this 1892 Queen Anne Victorian, built in 1892 by Norwegian immigrant Ole Habberstad. As co-owner of the Lanesboro Lumber Company, Ole ensured the home was solidly constructed, with southern yellow pine trim work and pocket doors warming its interior. Natural sumac, milkweed and rosehips decorate the downstairs Christmas greenery, with edible ornaments adorning the family Christmas tree. Weather permitting, the rooftop gazebo offers a memorable view of the Root River Valley. 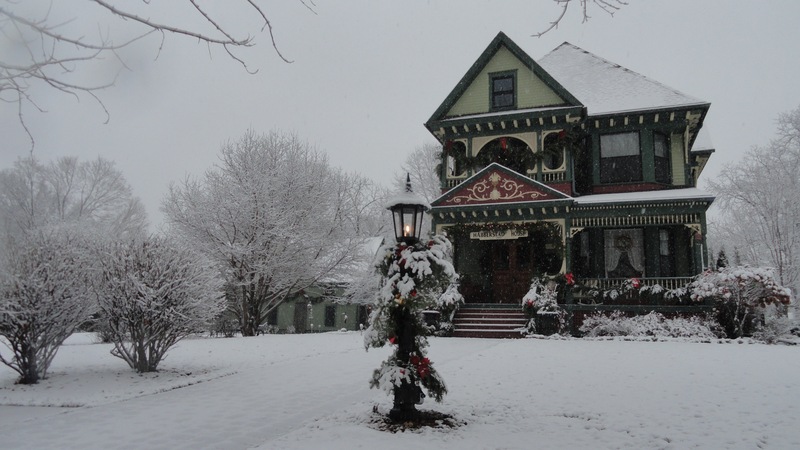 Welcome in the holidays with a visit to the Habberstad House Bed and Breakfast. 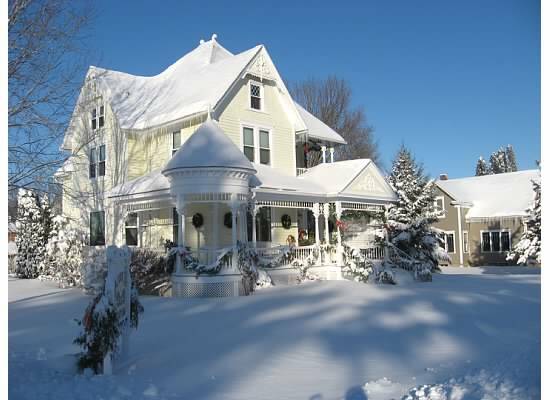 In 1897, this beautiful Queen Anne Victorian home was built by Olaf and Celia Habberstad, who owned the Lanesboro bank. Beautiful oak woodwork and three sets of pocket doors, a beautiful built-in hutch and fireplace will be flanked with Christmas greenery and decor. 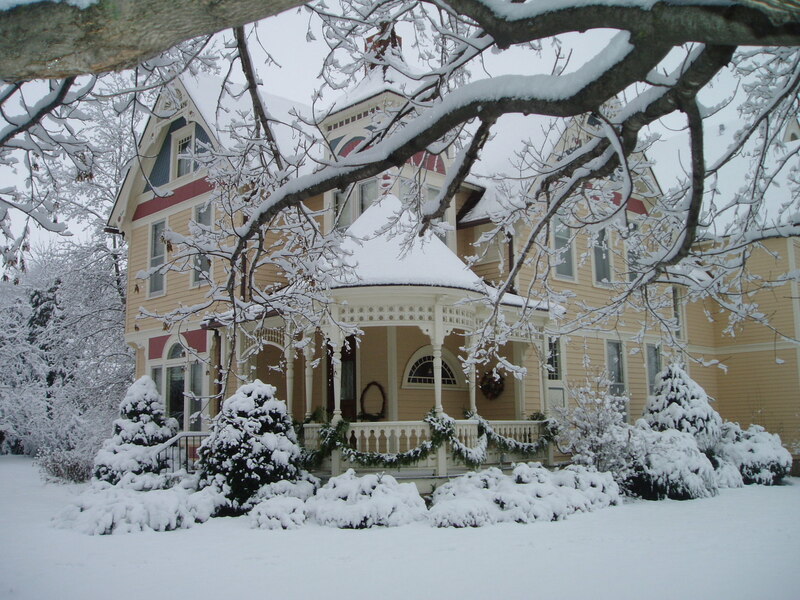 Enjoy a seasonal goodie while enjoying the first Sunday of Advent at the Habberstad House B&B. Featured artist will be Joni Finnegan of Lanesboro and special music by our niece, Jenna Nervig. 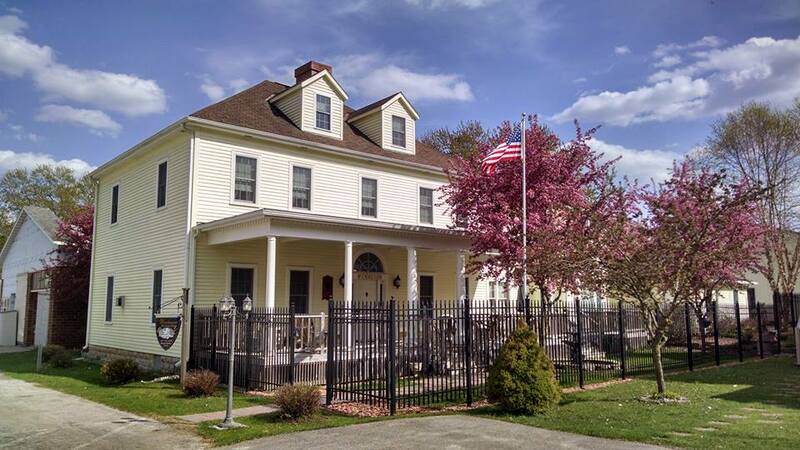 Lanesboro's first Bed & Breakfast and only house listed on the National Register. The house was built by Michael Scanlan, whose family was among the founders of Lanesboro. The bank that is still standing today is the bank that he operated until his passing. 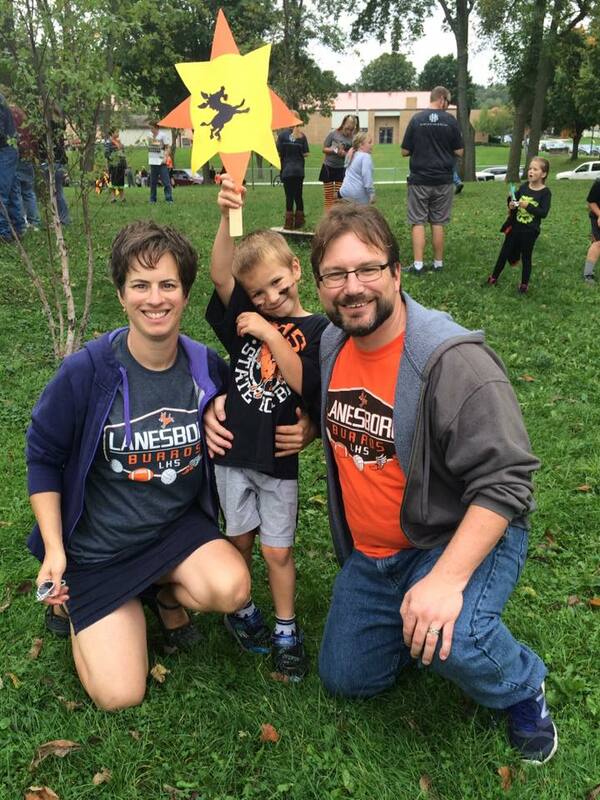 This was the first house in Lanesboro to have indoor plumbing and electricity. Staying in the area for the weekend? Enjoy the Lanesboro Holiday Dinner Dance on Saturday December 2 at the Lanesboro Community Center. The Commonweal Theatre is featuring 'The Trial of Ebenezer Scrooge'. Tickets are $35 at at commonwealtheatre.org with performances on December 1, 2 and 3. 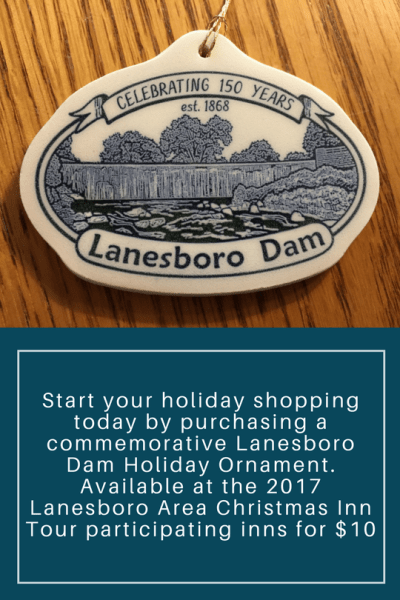 The Lanesboro area innkeepers encourage you to shop locally and support our downtown stores.